How do you set about exploring your local heritage? If you’re lucky enough to live in Cork, you have some marvellous resources at your fingertips. Today I want to focus on a set of books that are a comprehensive, affordable, richly illustrated, engagingly written compendium of our fascinating history – the Heritage Series. Dunlough Castle, also known as Three Castle Head, is an unusual example of a fortified curtain wall dating to the 15th century. It’s also, as you can see, incredibly beautiful – it’s written up in the Castles book. 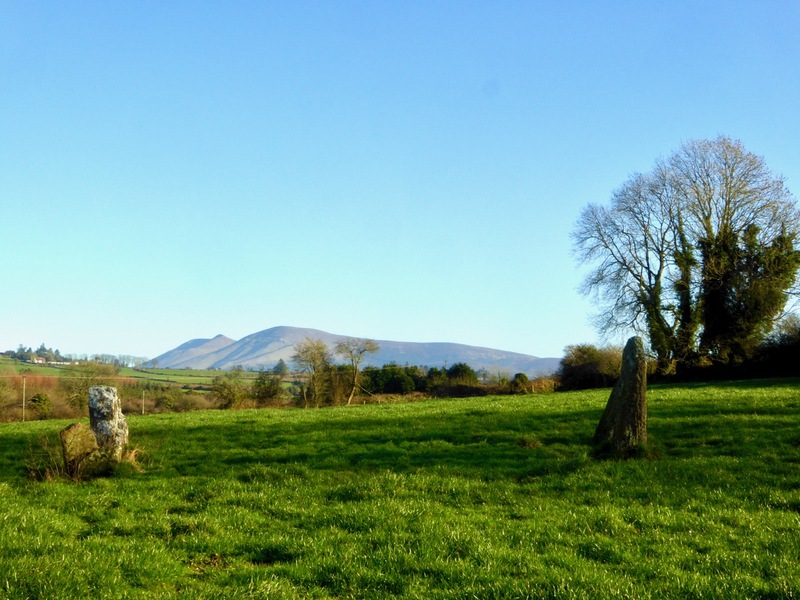 County Cork has a Heritage Office and a County Heritage Officer, Conor Nelligan. He’s a Tour de Force of Heritage, indefatigable, knowledgeable, and committed to communication and consultation. He pens a regular newsletter to local history associations and interested individuals alerting us all to upcoming events, grants schemes, talks, festivals, and articles of interest. Typically, when a new volume in the heritage series is contemplated, he will send out a call for submissions and contributions. The result is a rich collection of photographs, local information, stories and legends, expert analysis and historical detail. What’s amazing is that each volume only costs ten euro! They are available in all the local bookstores, but if you don’t live in Cork you can buy them online from the Skibbereen Heritage Centre. Each book has either a lead author or an authorial team, benefitting greatly from the expertise of the overseers and the one-off contributors. Conor and his colleagues Mona Hallinan, Cork’s Conservation Officer, and Mary Sleeman, the County Archaeologist, steer each project through to completion. The result rather than piecemeal is seamless, with the volumes following a pattern for the most part of an introductory historical and architectural context followed by ‘exemplars’ of castles, or bridges, or whatever the focus of that book. This layout gives it the convenience of a guidebook – wherever you are in Cork you can decide what to see and read up on it – while not sacrificing the the social and political background in which the buildings were constructed. They are our constant companions while out and about or when planning an expedition. And talking of expeditions, we want to see more of those bridges! I’ve been browsing through the bridge book, learning about abutments and piers and cutwaters, not to mention different kinds of arches, and I am dying to see more of those exemplars. So look out, Dear Readers, for a future post on heritage bridges. A picturesque clapper bridge near Ballyvourney . Is this the same bridge that Robert Gibbings engraved in “Sweet Cork of Thee” – see Robert’s post this week! Well done, Cork County Heritage Unit – you can be justly proud of this excellent series! 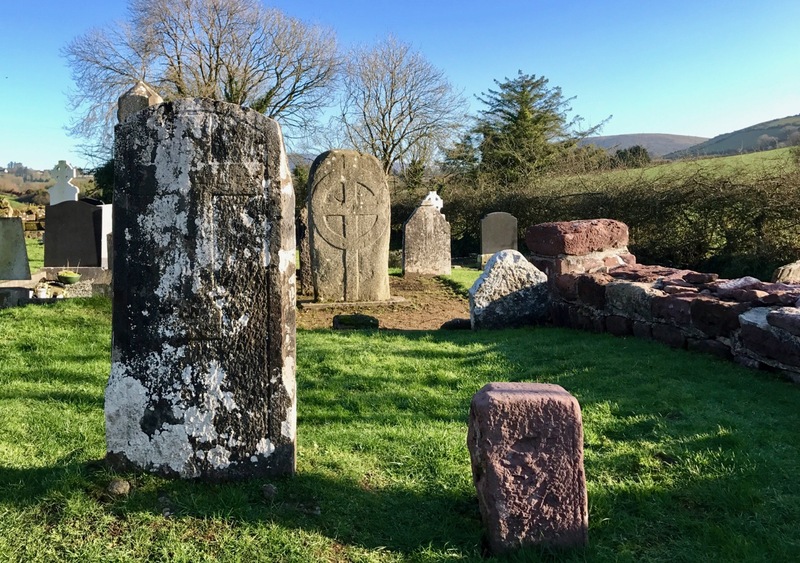 I know I’ve said this before – but, wherever you find yourself in Ireland there’s history on the ground, and a story to be found! Recently we ventured into North Cork: so large is this county that it is a good half a day’s journey from Nead an Iolair, here in the far west, to Mitchelstown, beyond which lie the wild frontiers of Tipperary and Waterford. The purpose of our journey was exploration – archaeology, history, folklore – and we found ourselves drawn back into the time of the Saints. 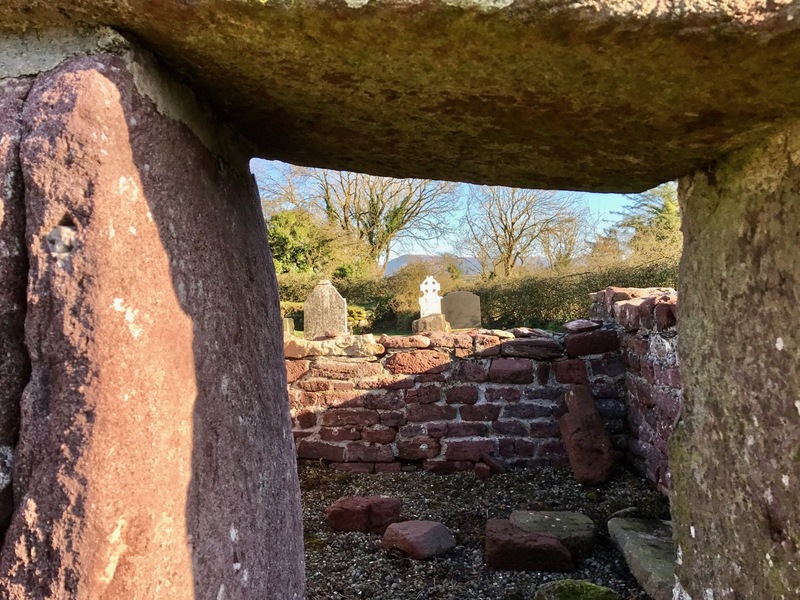 Well off the beaten track we found ourselves at an ancient site known as Labbamolaga, in the townland of Labbamolaga Middle. Labba Mollaga: it means ‘the bed of Molaga’, who was a saint living in the 7th century. He is said to have founded a monastery on this site and the earlier building here could have been his original church. The architecture is fascinating: here we have one of the few examples remaining in Ireland of this most ancient church form, albeit in a ruinous state. In 1975 a similar ruin in Connemara was reconstructed to its likely original form at St MacDara’s Island, Carna. This gives us some idea of what St Molaga’s oratory could have looked like. What of the saint himself? 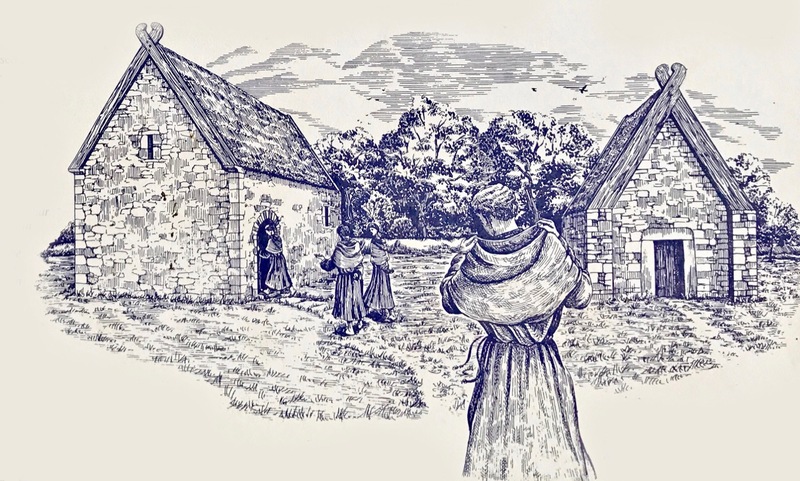 He has a recorded history: born in Fermoy of parents who were well past child bearing age (a miraculous sign), he travelled to Scotland and then to Wales, where he became a follower of St David. Returning to Ireland he founded monasteries at Timoleague, West Cork (the name means House of Molaga), and at this site in North Cork. 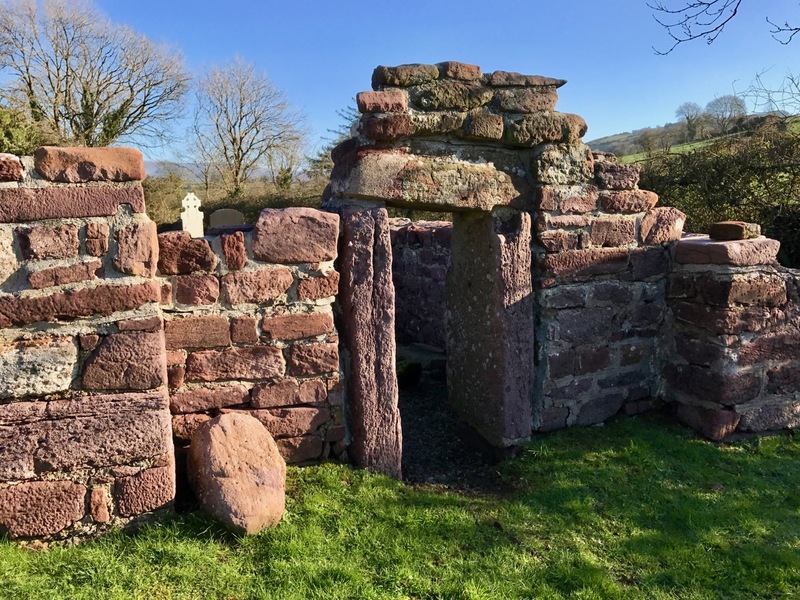 Sources say that in Wales he learned the craft of bee-keeping, and a colony of bees attached itself to him on his journey back to Ireland: the same sources credit him with introducing bees to Ireland, but the earlier Saint Gobnait – patron saint of bees – also has this reputation. Some mixing of hagiographies here, perhaps. 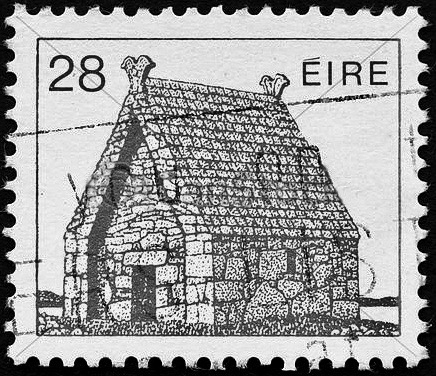 Also confusing is the information given in catholicireland.net which gives the name St Modhomhnóg as ‘Irish Saint of the Bees’ and tells a similar story, although this saint returned to Ireland from Wales (with bees) and set up a community in Bremore, near Balbriggan, County Dublin – today known as the Church of the Beekeeper but also connected with St Molaga, who is there said to have procured his bees from St Modhomhnóg. To add to the confusion, the feast day of Saint Gobnait is on 11 February, while that of Modhomhnóg is on 13 February. We hadn’t realised until we unearthed these stories that we have the saint’s name in our larder! 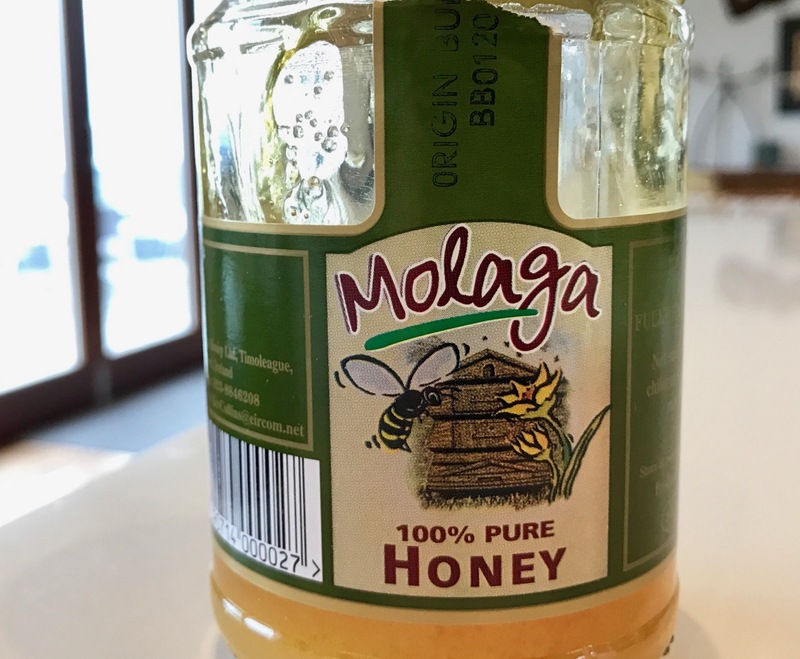 Our favourite honey is known as Molaga – we get it from our local supermarket. There is nothing on the jar to explain the name (this is one of various spellings), but the honey is distributed from Timoleague (the house of Molaga) in West Cork. There is much more to the story of this slightly elusive saint, perhaps to be told another day.